Traumatized And Vulnerable To Abuse, Orphans From Mosul Are 'Living In Another World' : Parallels Thousands of Iraqi children lost one or both parents during fighting in Mosul. "They are sad and isolated. Most of the time, they have few friends and they don't trust anyone," says a social worker. 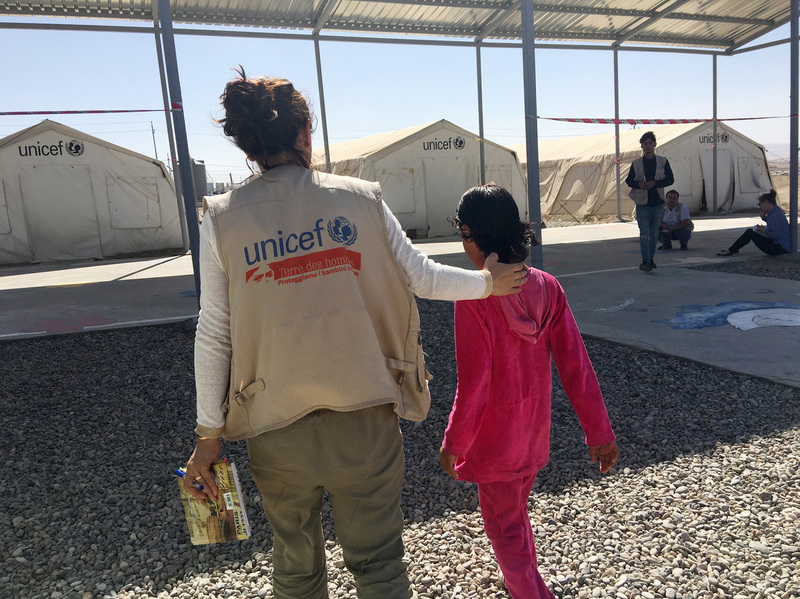 Kawkab walks with a social worker in the Dabaga camp for displaced Iraqis. Kawkab says she was seven or eight when she saw ISIS militants shoot her mother dead. "They shot her with an assault rifle," she says. "They shot her and she died and they threw her off the bridge. I asked them, 'Why did you kill her? She's my mother. She didn't do anything.'" "They were shooting at us," Ammar says. "If you could run to it, you could escape." Ammar made it to the wall through the gunfire. His parents and his little sister didn't. "I helped to bury my father and mother and then we left the west side of the city," he says. Iraqi soldiers evacuated Ammar and his sister to the Kurdish capital Irbil, where doctors operated on the little girl. Ammar says she remained paralyzed. Amid a flood of civilian and military casualties, there was no follow-up care. There are no reliable statistics showing exactly how many civilians were killed in the battle for Mosul. But there are partial records showing that thousands of orphans were left behind. ISIS is believed to have shot hundreds of people who were trying to escape as Iraqi security forces closed in during the final battle this summer. More than 2,000 additional civilians were believed killed in U.S. and Iraqi airstrikes and mortar attacks on ISIS targets in the crowded west side. While many of the orphaned children have been absorbed into the families of relatives who care for them, some are left to fend for themselves. In Iraq's tribal culture, it's considered shameful to send children to orphanages. Many of them end with relatives who only reluctantly take them in. 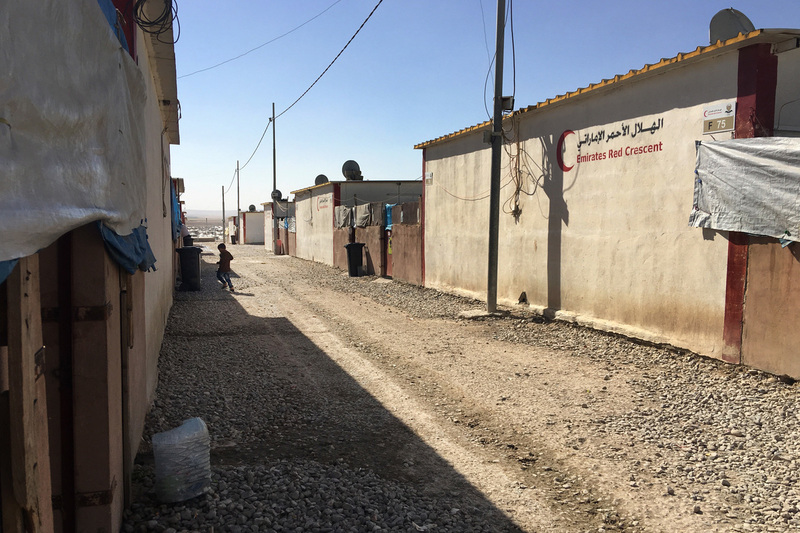 In Iraq, one step above being homeless is living in an unfinished building – often the foundations of a house with concrete block outer walls, a concrete floor and a ceiling. That's where Ammar and his sister live now with their uncles, who were also displaced from the west side of the city. "They're not good. They don't feed us," Ammar says. "If I can find something to eat, we eat. If I don't, we don't." He says sometimes he gets food from Iraqi soldiers in the streets. His older cousins ignore his sister, he says, but routinely beat him up. He pulls up his faded shirt to show welts on his side. Ammar provides his last name but asks that it not be used. He's afraid of his uncles and won't give his address. The Dabaga camp is home to Iraqis displaced by the war against ISIS. Aid workers are worried about the effects on children, including thousands who have lost parents in the battle. At first, the teenager bows his shaved head and looks at the ground when he talks, explaining haltingly he is trying to find help for his sister. All his effort seems to be focused on acting like a grown-up and not breaking down. But as he sits in NPR's vehicle to rest, his story comes tumbling out. He tells us he was in sixth grade when ISIS took over Mosul. He writes poetry and dreams of being a singer. And then he sings a mawal – verses he composed sitting at his parents' grave. "You are my soul, mama," he sings in a voice so clear and pure an Iraqi soldier comes over to listen. "I came and sat on your grave and whispered to you... Sometimes I think it's not true what I'm living, that you and my father will come back." As he says goodbye, he's wracked with sobs, wrapping his arms around his shoulders to comfort himself. At the governor's office in Mosul, Sukaina Ali Younis is in charge of services for orphans and widows. Asked if she has any idea how many there are, Younis pulls out a thick stack of papers from a drawer. "We have 13,000 names," she says, "but there are more." The pile lands on her desk with a thud. In Iraq, children are officially considered orphans if they have lost even one parent. The death of a father often dooms them to devastating poverty. The loss of a mother means the father might remarry and abandon his children from a previous marriage. Each page on Younis' list has about 50 names: children who have lost either one or both parents. It's an incomplete list - the hundreds of pages, some of them handwritten, are missing some of Mosul's neighborhoods. 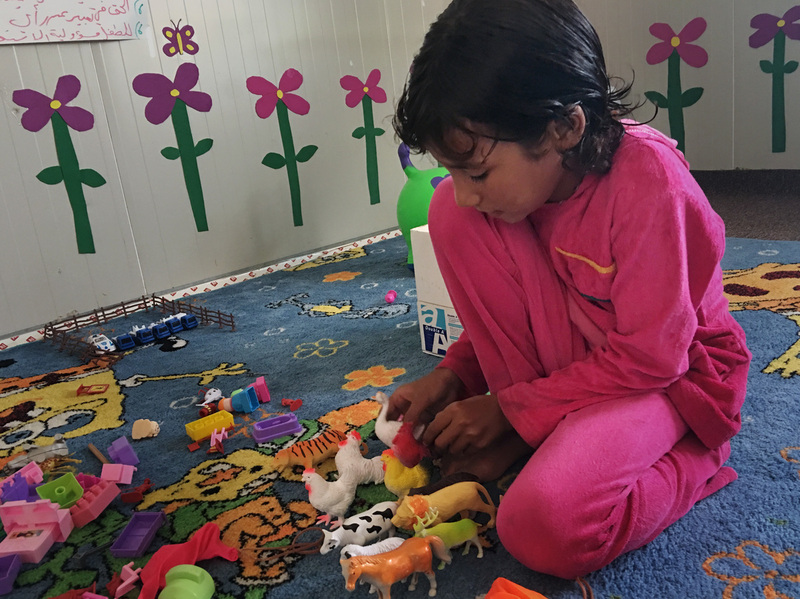 The few services there are for orphans and other traumatized children are provided in the camps for the hundreds of thousands of Iraqis still displaced by the battle against ISIS. At the Debaga camp near Irbil, young children run around a tent to the tune of "Itsy Bitsy Spider." The supervised play space is part of a U.N.-funded project run by the aid organization Terres des Hommes Italy. Children like Kawkab receive special counseling. She saw her mother killed in front of her. Kawkab is 10. Wearing pink velour pants and a matching top with hearts, she sits in one of the organization's trailers filled with stuffed toys. 10-year-old Kawkab saw her mother shot dead in front of her by ISIS. "When my mother was alive, I was happy," says Kawkab. "Here I mostly stay home in the tent." She says she was either seven or eight when ISIS took her and her mother away. A cousin who was a policeman had come to their house, begging for help to escape the city. Kawkab says her mother initially refused but finally agreed. They were caught at an ISIS checkpoint. "They shot her with an assault rifle," she says. "They shot her and she died and they threw her off the bridge. I asked them, 'Why did you kill her? She's my mother. She didn't do anything.' They said, 'Why did you help that guy escape? That's why we killed her.' "
Ammar Mohammad, a social worker at the camp, says girls who have lost parents are often forced into teenage marriages. Boys are vulnerable to being exploited or drafted into militias. "They are living in another world – they are sad and isolated. Most of the time, they have few friends and they don't trust anyone," he says. "A lot of people inside and outside the camps take advantage of them." Their problems are compounded by the crushing poverty of having no family to rely on. Kawkab's father is still alive. But with her mother gone, the little girl is expected to do all the housework for her father and five brothers. She's dropped out of school at the camp. "When my mother was alive," Kawkab says, "I was happy. Here I mostly stay home in the tent. There's no benefit in going to school."